Anything with moving parts usually requires maintenance. If you want to maintain your car you take it to get the oil changed every 3,000 miles (unless it’s a hybrid, it’s 10,000 miles and synthetic oil). At a certain point, depending on how you use them, you have to replace the brakes. 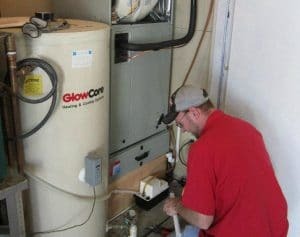 Why would maintaining your furnace and air conditioner be any different? It isn’t! Maintaining your HVAC equipment can add years to the life of your equipment. Adequate and consistent maintenance of your HVAC equipment will also perform better saving you money. A maintenance appointment is always a good time to catch a problem before it becomes an expensive situation. Maintaining your HVAC equipment can add years to the life of your equipment. Adequate and consistent maintenance of your HVAC equipment will also perform better saving you money. A maintenance appointment is always a good time to catch a problem before it becomes an expensive situation. Get the peace of mind you want and extend the life of your HVAC equipment with our Safety and Maintenance Agreement for 1,2 or 3 years starting at $189.00. Call the heating & air conditioning professionals at Bills Cooling today. Sign up for a one-year maintenance agreement and have your air conditioner serviced before the heat of the summer poses a potential problem for you!